In the market for cork flooring? You’ve come to the right place. 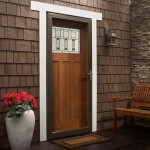 Here at Poulin Lumber we’ve got a wide selection of products available for your next project. If you want to place an order or have further questions, fill out the form below and we’ll put you in touch with one of our trusted associates. Wicanders has a legacy that goes back to 1868 and is the global leading brand in flooring products with cork technology. Cork flooring offers several benefits compared to hardwood flooring. It’s more comfortable, it’s a natural acoustic insulator, and there are plenty of creative aesthetic options. Want to find out if cork flooring is right for your next project? At Poulin Lumber we have a wide variety of some of the most innovative products on the market along with knowledgable associates that will help you determine if cork is right for you.